Brad Stewart will have injured jockey Tye Angland in his thoughts as he rides in the Origin series. The in-form Brad Stewart hopes to do injured jockey Tye Angland proud when he competes for NSW in the State of Origin series at Doomben. Stewart has been named as a replacement for Angland who remains in hospital in Hong Kong after a fall last Sunday week. The Sydney-based Angland has ridden in the three previous Origin series with this year’s challenge taking place on Friday and Saturday. “Of course I will be riding for Tye and hope to do him proud. The fall was another wake-up about just how dangerous this job can be,” Stewart said. 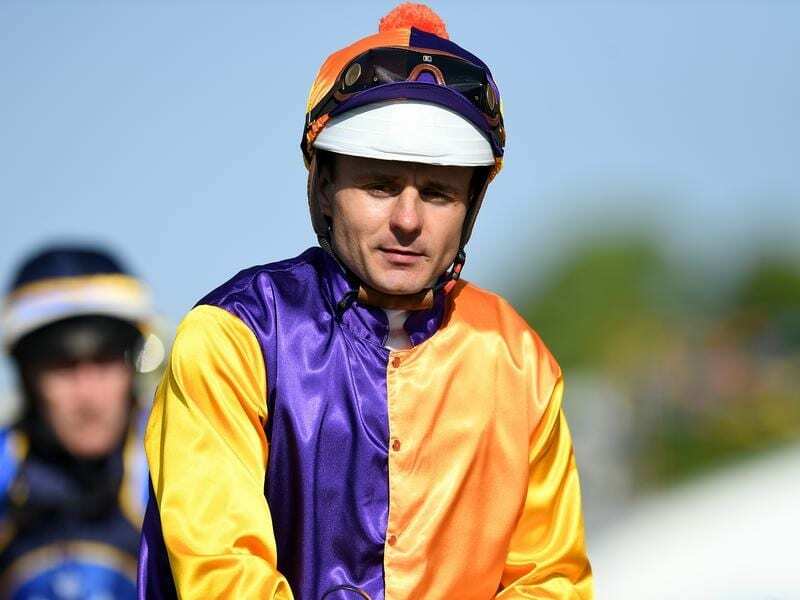 Stewart has been a leading jockey in Brisbane for more than a decade but started out in NSW making him eligible for the Blues team. “I have been riding for more than 20 years and started in Grafton so I am a Blue at heart,” he said. Six teams of two will contest the Origin series which is based on a points system. The teams are: Jim Byrne and Matt McGillivray (Queensland), Stewart and Corey Brown (NSW), Jamie Kah and Dwayne Dunn (South Australia), Craig Newitt and Brendan McCoull (Tasmania), Damian Browne and Jason Collett (New Zealand) and Luke Nolen and Brett Prebble (Victoria).